Efficiency, productivity and customer satisfaction all have one thing in common. They can suffer in the field service industry because of legacy processes. 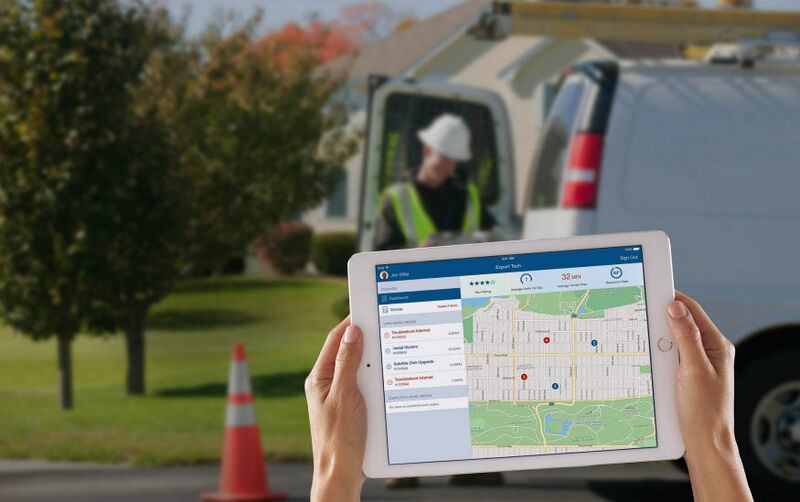 With first contact resolution rates upwards of 90%, and ROI over 50% in just two years, it’s no wonder field service companies are looking to mobile and cloud-based applications to streamline their operations. There are a lot of benefits to be had, from quicker response times to real-time tracking and happier customers. Let’s look at seven of the most important ways that technology is transforming your industry. 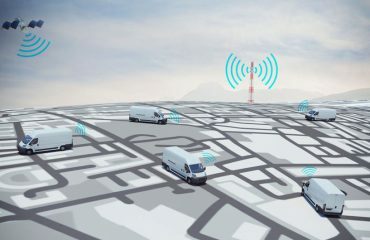 A mobile app can tap into the GPS capabilities of modern smartphones, to track your vehicles and team, in real time. With map views and real-time location updates for all technicians and appointments, it’s easy to update appointments, or check in on progress with the tap of the screen. No more call or radio check-ins to find out of Jim is on pace to make his next appointment. The location of your entire fleet can be displayed on a digital map on the big screen at your headquarters, or via a mobile app in the hands of your management team. 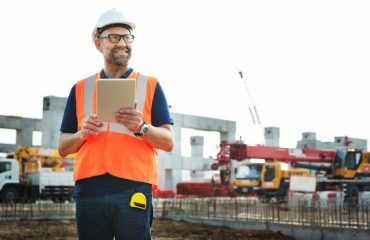 Rather than relying on dispatch to provide job updates, or important customer information, field technicians can access customer work order history and delivery schedules via your mobile app. Your team will have more information, and more up-to-date information on hand when they complete a job. Dispatch will also have instant access to job updates from the field, and technician location….without needing to pick up the phone. How efficient is your team right now? The average service company only has a 72% compliance rate with stated response time, and a 64% workforce utilization. They are inefficient, and it’s not necessarily anyone’s fault. They rely on outdated technology and suffer from human error. A good mobile app can address these problems directly. Mobile work orders mean no paperwork to pick up in the morning and carry around all day. No more lost paperwork or missed signatures. Everything your team needs to get their job done is available at the palm of their hand. With mobile support, you can simplify operations and increase overall data accuracy. Fewer errors, and access to more data, means better adherence to your company’s processes and industry best practices. A mobile app enables your field team to get their job done, from where ever they are. Completed works order, photos and customer signatures can all be uploaded instantly to your cloud-based servers. Critical information becomes accessible to dispatch and the rest of the home office, instantly. For field service, access to the cloud means a huge bump in productivity. Work orders are uploaded directly, meaning no need to take paperwork back to the office. Not only does this keep employees in the field for more hours of the day, improving on-time rates and utilization, but it significantly reduces the risk of manual errors. Things change. A customer might cancel an appointment or ask for a reschedule. An emergency call might come in that needs to get added to the schedule. Service companies are constantly processing new information. With a mobile approach, that information can be updated quickly for instant access by staff in the field. Notifications can alert them to real time updates for assigned jobs whenever there is a change, meaning less confusion and more efficient use of their time. Let’s face it – customers aren’t always impressed with service operations. The lengthy window, the frequent tardiness. These are complaints you are surely familiar with. With a mobile app, you can vastly improve in this area, providing an UBER-like experience for customers while they wait for their technician. How popular are these features with customers? In a recent CSG International study, when asked if they prefer a tool that provides technician location and estimated arrival time updates, 89% of customers said they prefer the experience, and 70% indicated wanting to see the technician’s name and photo. Even more telling, 86% of respondents said they would pay up to $25 to make the scheduling process more convenient. And pretty much everyone surveyed wants more control over the scheduling process, with options other than calling to make an appointment. Mobile technology makes all of this possible. GPS integration means it’s easy to keep track of staff, vehicles, and equipment in the field. Barcode scanners make inventory and part tracking, paper and error free. The built-in camera makes for a faster way to ask questions and verify work completed in the field. A good app can utilize the tools your devices already have to improve operations across the board. Field service is a juggling act. On any given day, dispatch is managing dozens or even hundreds of jobs across staff that are scattered across the state, or country. More informed dispatch teams, efficient response times and greater productivity – these are just a few of the many benefits mobile technology offers to your operations. Want to learn more about how a custom mobile application can transform your field service operations for the better? Contact Big Fish today to discuss.